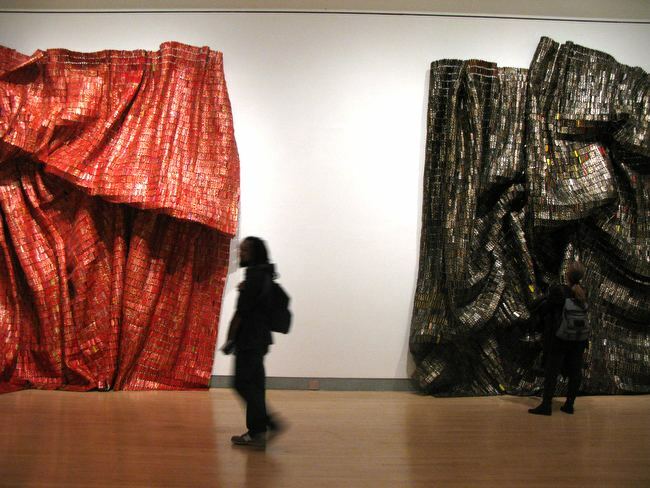 The Brooklyn Museum’s solo show of recent — massive — works by Ghanese/Nigerian artist El Anatsui is a stunner. 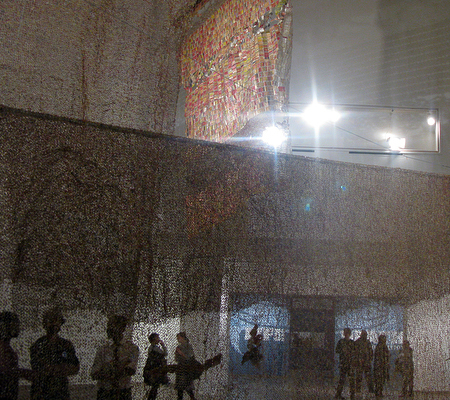 The artist, born in Ghana but residing in Nigeria, creates a dramatic experience in the museum with his colorfully repurposed, large-scale sculptures made from thousands of pounded bottle caps. 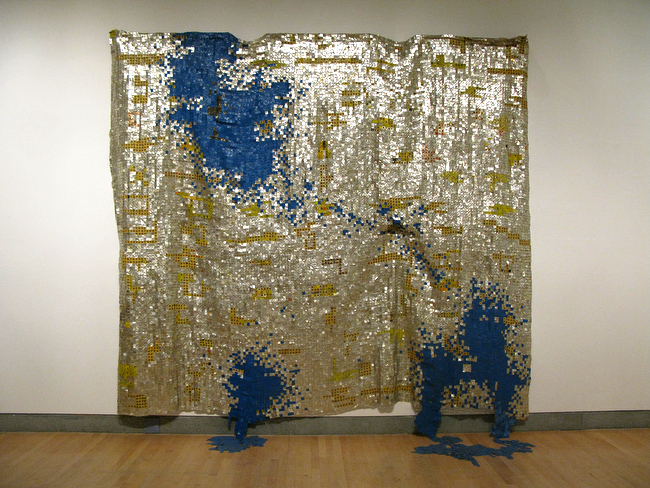 The monumentally-sized wall hangings, in particular, give a feeling of designer, textured paintings, while the floor sculptures have an organic life to them. 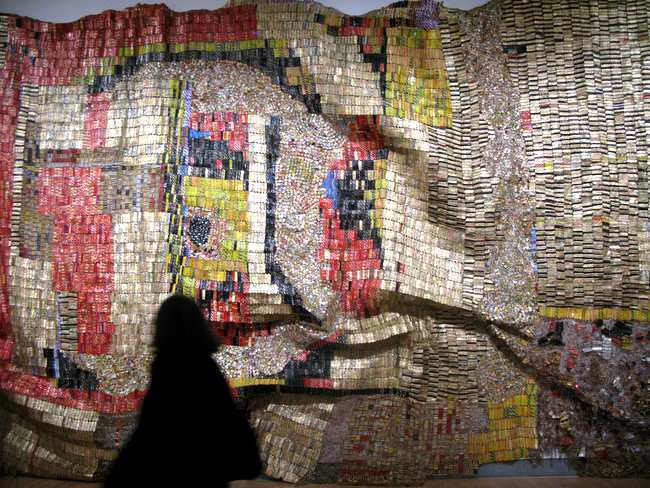 Born in 1944, this is El Anatsui’s first solo exhibit in a New York City museum. He is sure to leave a lasting impression. 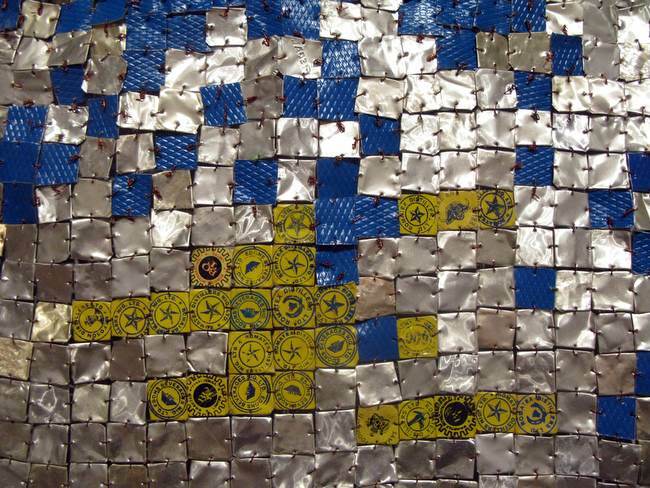 El Anatsui lives in Nsukka, Nigeria, where he collected thousands of caps from a distillery for his colorful creations. 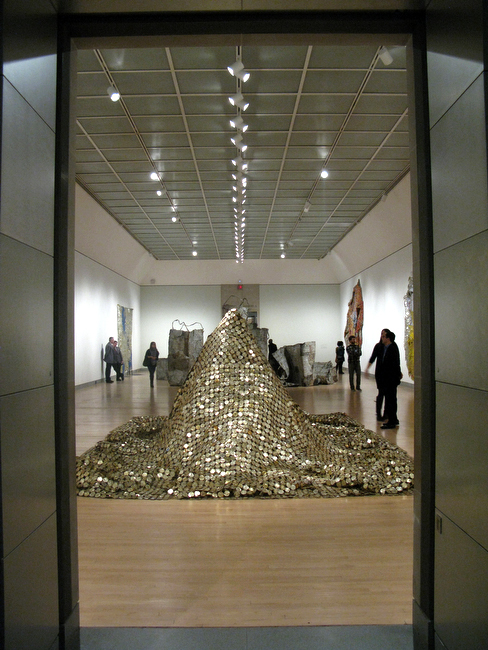 The show, “Gravity and Grace,” is a must-see. Children will love the colorful drama.